The zombie apocalypse is a popular scenario in science fiction, but it relates directly to science fact. Pandemics are a part of human history. We justifiably have a deep-seated fear of future devastation. Advancements in science have eradicated many diseases, but as viruses continue to mutate so must our applications for dealing with these deadly foes. 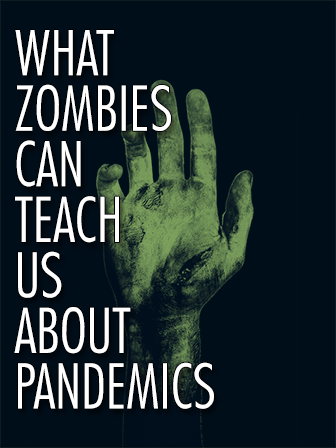 This book compares the zombie apocalypse to real life pandemics, and explores the role that science plays in helping protect us from these real life pandemics. It will captivate the adolescent reader, especially those who are interested in zombies. It will also compliment a unit on writing a compelling introduction, the modern application of science, as well as a unit on the essay.